'Audaciously Yours' debuts in the first issue of The Heat, Malaysia! Your lovely, clever, astute self may have picked up on the many hints on my blog and on my Instagram that I've been working on a comic, sorry, graphic short story. Finally, after keeping mum for what feels like yeaaaaars (really only a few months) what I've been working on! 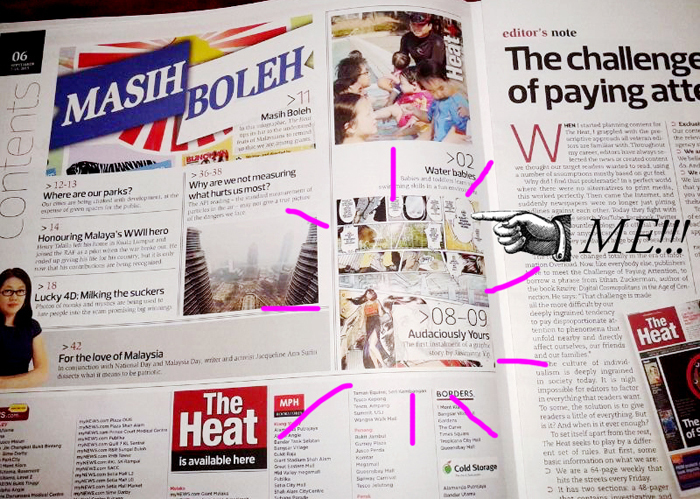 Today my monthly graphic short story Audaciously Yours makes it debut in the first issue of The Heat, Malaysia! Centrespread, no less! Look for it in Heat+, the lifestyle section! Front cover of the first issue of The Heat. I'm too excited to think coherently let alone properly type out a blog post. I'll come back to it when I've taken it all in. 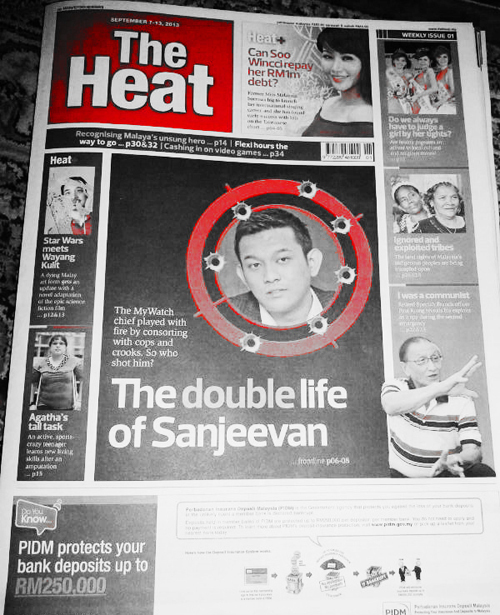 Until then, if you're in Malaysia please pick up a copy of The Heat newspaper! You can subscribe to the digital version on their website here. For overseas readers, Audaciously Yours will be available to read on my new website (launching on Monday). Along with behind the scenes and features/background stories that I hope you'll find interesting. Be right back, my brain needs to cool down. Congrats! You are a really good artist!